President Obama decided to appoint the former D.C. District 13 Justice Merrick Garland. In 1789, Article II, along with the rest of the U.S. Constitution, was adopted into the family of documents that has since led to the endless political debates of policy and interpretation that are the part and parcel of democracy. However, what the founding fathers did not expect is the old “geriatric tortoise,” coined by Jon Stewart, known as Senate Majority Leader Mitch McConnell of Kentucky, blocking so much political action in the Senate, which is essentially equal to that of your colon as you exit Chipotle. 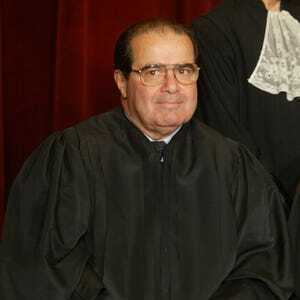 In the hours following the death of the late Justice Antonin Scalia, McConnell, along with most of the republicans in the 114th Senate, made it very clear to the American people that whether it would be front-runners Republican Donald Trump or Democrat Hillary Clinton taking office next January, progress would not be made in the passing of a nomination for a new Supreme Court justice while President Barack Obama sits in the oval office. This is mainly because most Senate Republicans have the delusion that Obama’s constitutional mandates only last for three years instead of the four he was voted in for. But I assume some are good people. On March 16, President Obama decided to test the limits of McConnell’s stubbornness by appointing the former D.C. District 13 Justice Merrick Garland, who is universally well liked across the aisle by most in the U.S. government because he is largely moderate. To stall the nomination of Garland, the Republicans are utilizing something called the “Biden rule,” which isn’t even the true name. It was originally the Thurmond Rule, which was based on a similar situation in which 1968 democratic President Lyndon B. Johnson attempted to nominate a new chief justice, Abe Fortas. However, Republican Sen. Strom Thurmond of South Carolina decided to block the nomination, starting a chain event throughout the last several decades that would later be renamed as the Biden Rule just to convey the idea that Democrats do the same thing as Republicans when facing a nomination from the rival party in an election year. This reveals the inherent problem in the system. Legally speaking, Republicans in the Senate have every right to do this, and by doing so, they can technically claim the stonewalling occurring is their way of representing the populous who voted them in. Seeing that this confirmation would tip the scales in favor of the Democratic Party for years to come with major social decisions on the verge of appearing on the court floor, it is probably wise in their eyes for Republicans to do this. But at a certain point, Republicans also have to realize that if they do manage to stall until after the election, they could be stuck with an even more liberal candidate, because Clinton will probably face Trump. Assuming the joke that is Donald Trump’s campaign has ended by then, Republicans will probably wish they didn’t gamble the future away when they had the chance. 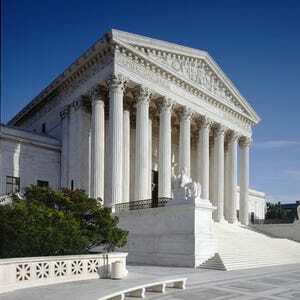 And so with time and minimal energy being used by McConnell and fellow senators such as South Carolina Republican Lindsey Graham and Utah Republican Orrin Hatch, the nomination for the newest Supreme Court justice is being stonewalled just like black nominees at the Oscars.